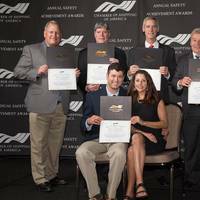 Eighty-seven vessels owned or managed by Crowley Maritime Corporation recently received the Chamber of Shipping of America (CSA)’s annual Jones F. Devlin Awards in recognition of their 2016 safety records. 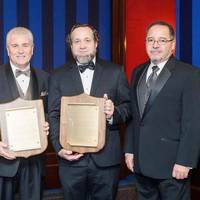 Each year, the CSA grants Devlin Award certificates to manned merchant vessels that have operated for two or more years without incurring a Lost Time Injury (LTI), highlighting the skills and dedication of the crewmembers responsible for safe vessel operations. 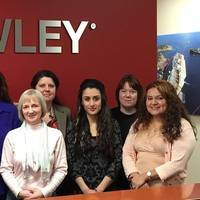 Crowley’s 2016 Devlin Award-worthy vessels together have achieved 670 years of service without an LTI. The hallmarks of a successful vessel operator are the same whether they are carrying liquid, physical or human cargo: A laser focus on safety, a twin commitment to customers and crew, and the vision to embrace and invest in the future. However obvious the bar, it is not easy to meet. 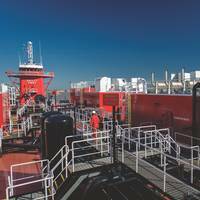 “I don’t think there is any magic formula,” says Rob Grune, senior vice president and general manager, petroleum services, Crowley Marine Solutions. 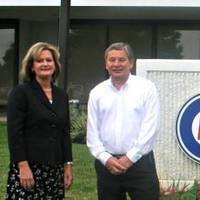 “The difference is that everything we work on regards providing a high quality of service to customers, pays off. In a rising market, it’s easy to do well. Eighty-eight Crowley vessels honored with Jones F. Eighty-eight Crowley Maritime Corporation vessels received the Chamber of Shipping of America’s (CSA) annual Jones F. Devlin Award in recognition of their safety records, during a luncheon held last week in New Orleans, La. 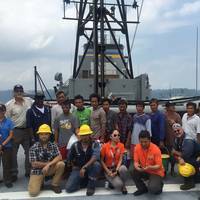 Each year, the CSA honors manned merchant vessels that have operated for two or more years without incurring a Lost Time Injury (LTI), specifically highlighting the skills and dedication of the crewmembers responsible for safe vessel operations. 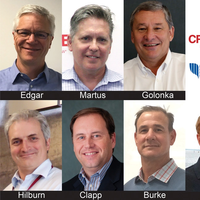 Crowley Maritime Corp. acquired Seattle-based Maritime Management Services, Inc. (MMS), a company with more than a decade’s worth of experience in crew management for offshore oil and gas vessels primarily in the U.S. Gulf, Singapore and Gulf of Mexico. MMS offers crewmembers services such as visas, flag-state and immigration documentation; crewmember certifications, including Standards of Training, Certification and Watchkeeping (STWC) and any client or operational area requirements; logistics, administrative and travel support; and much more. 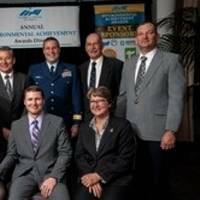 Eighty-nine Crowley Maritime Corp.-owned and operated vessels were honored with Certificates of Environmental Achievement for years of safe operations during the eleventh-annual Chamber of Shipping of America (CSA) awards ceremony today. 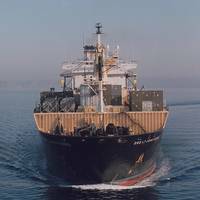 Crowley received an award for each vessel that worked at least two consecutive years without an environmental incident. The 89 vessels have logged a combined 968 years of service without incident, a true testament to Crowley’s commitment to keeping harbors and oceans clean. 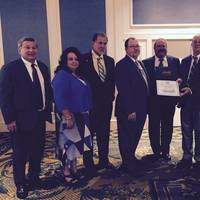 Seventy-five Crowley Maritime Corporation vessels have received the Chamber of Shipping of America (CSA)’s annual Jones F. Devlin Awards in recognition of their outstanding safety records in 2013, honors given during a luncheon held last week in New Orleans, La. 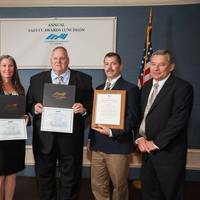 Each year the CSA grants Devlin Award certificates to manned merchant vessels that have operated for two or more years without incurring a Lost Time Injury (LTI), specifically highlighting the skills and dedication of the crewmembers responsible for safe vessel operations. 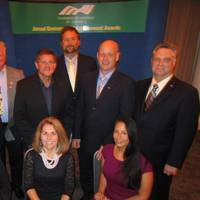 During the tenth-annual Chamber of Shipping of America (CSA) awards ceremony held in Washington DC , Crowley Maritime Corporation was awarded with 100 Certificates of Environmental Achievement for 2013 – more than any other company in the running. 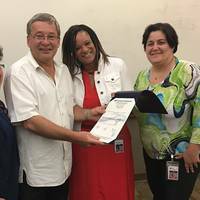 The certificates were awarded to Crowley-owned and operated vessels for having worked at least two consecutive years without an environmental incident. 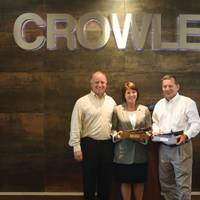 Additionally, Crowley was also presented with a membership award in recognition of five years of support to the CSA. 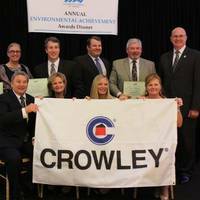 During the tenth-annual Chamber of Shipping of America (CSA) awards ceremony held in Washington, D.C., this week, Crowley Maritime Corporation was awarded 100 Certificates of Environmental Achievement for 2013 – more than any other company in the running. 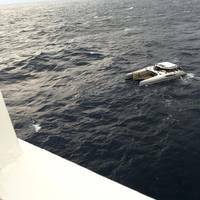 The certificates were awarded to Crowley-owned and operated vessels for having worked at least two consecutive years without an environmental incident. 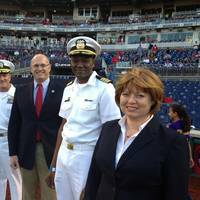 Additionally, Crowley was also presented with a membership award in recognition of five years of support to the CSA.
. Capt Walley of the Ready Reserve Force (RRF) ship, was presented with the Spirit Award at the Nationals Park during a televised Major League Baseball game between the Washington Nationals and the Philadelphia Phillies on National Maritime Day, May 25. National Maritime Day is an annual observance that recognizes the U.S. maritime industry. 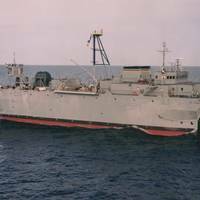 Crowley Liner Services has launched a major refurbishment of 25 seagoing tugs to extend their lives at least another 15 years. These U.S.-flagged, Invader-Class vessels, each of which is crewed by six seamen, are widely used throughout the Crowley system for a variety of jobs, including the ocean towing of the company's triple-deck RoRo barges between the U.S. mainland and Puerto Rico and specialized contract services. 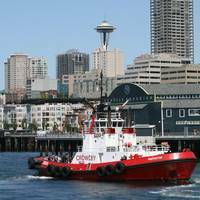 Crowley's multi-million-dollar investment includes the rebuilding of the tugs' main engines, effectively returning each to zero hours. This provides a marked improvement in the overall operational performance and reliability of the tugs, each of which is capable of generating a powerful 150,000 pounds of bollard pull ahead and 7,200 maximum continuous bhp.